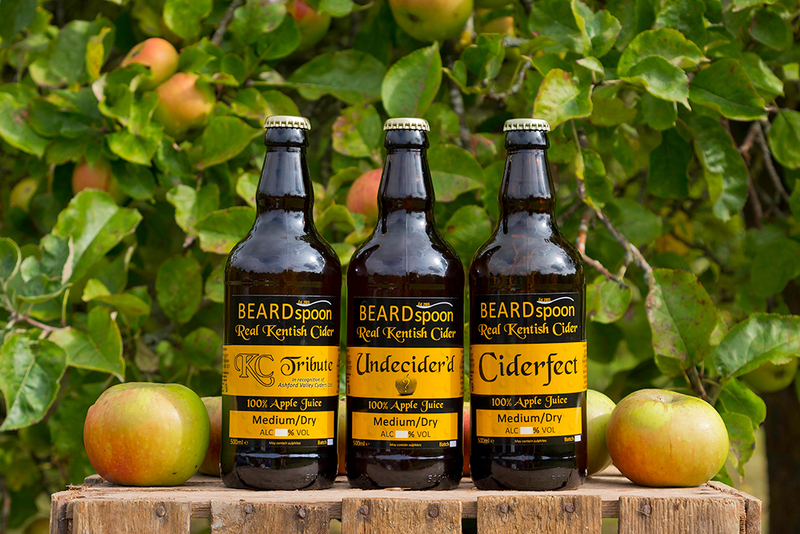 BEARDspoon Cider Works was established in the summer of 2011 by two Real Cider enthusiasts. Kent (known as the Garden of England) is famous for its acres of historical orchards and hops, the perfect place to produce Beer & Cider! Due to the abundance of orchards 'Kentish Style' Cider traditionally uses a mixture of cooking and eating apples, and if you're lucky may have some West county Cider Apples thrown in! Real Cider is nothing like the chemical rich 'glucose wines' sold in major supermarkets and pubs, 'real' ciders use 100% apple juice fermented naturally (usually by the apple's own wild yeasts) with no added chemicals or pasteurisation. We started out with one heavily laden Bramley apple tree and various other apples donated from friends and local orchards, the initial batch was small but perfectly formed. Pressed late 2011 and eventually bottled in the summer of 2012 it was an instant hit with friends and family. Later in the year we decided to enter the NACM Kentish Artisan Cider Makers Competition at Brogdale Farm with no aspirations of greatness but just happy to be rated amongst the other titans of the Kentish Cider Makers. Much to our surprise we were ranked 4th with 'Highly Commended' out of well over 15 Ciders from the county. On a high of this superb first time success the 2012 years Apple crop was significantly down on the year before and our second batch suffered greatly. We still produced enough to supply our own needs and experiment with but this spurred us on to find a regular supplier of local Apples to guarantee production and hopefully allow us to sell to beer festivals and local shops. 2013 saw our ideas realised with the help of 2 local orchards, one supplying cooking apples and the other eating apples. Using these, we won our second award, coming 3rd in the Kent Region of the CAMRA Cider Competition at the Planet Thanet Easter beer festival in April 2014. We had sold out by June that year but the cider was still available at various Kent festivals through to September including the Great British Beer Festival, something we are immensely proud of! With the purchase of a larger hydro press for the 2014 pressing season we doubled our production to meet the incredible demand during the previous year. 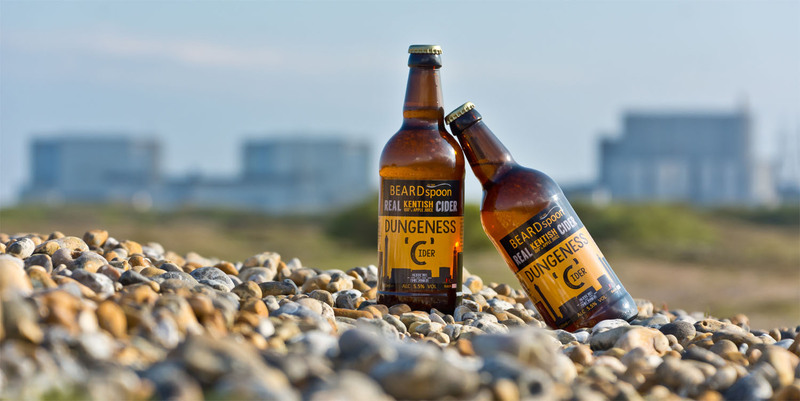 The 2014 batch proved to be even more popular during 2015 with cider heading all over the country, from Dorset to Nottingham to London, we sold out well before the end of August with orders held until September. In September of 2015 we decided to invest a little more into our hobby and double production once more to just over 1000l a year. With the wet summer of 2015 came lots of juice but a lower sugar level, meaning lower alcohol levels but still great tasting cider; we ended up producing over 300l more cider than expected! 2016 saw our cider sell out in record time even with the increase in production, festivals far and wide had the privilege of stocking our Artisan Cider as well as local pubs, micro-pubs and shops. 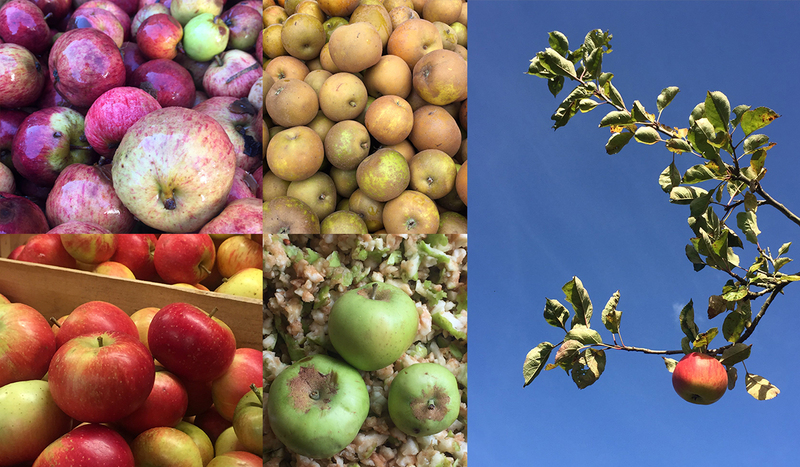 2017 brought with it a couple of special blends before the summer was over, the autumn brought very early ripening fruit which caused us a few logistical issues and acces to some Proper Cider Apples! We also moved to a brand new Cidery in Sellindge. In 2018 we added our special limited 'East beats West' to our range, a Kentish Style Cider blended with the brilliant West Country Cider Apples. During 2019 we will dabble with the world of Perry, made from 2 ancient Perry Pears varieties grown in Kent!